Jenna Boker studied at Sacred Heart University where she earned her Bachelors of Science in Business Management with a focus in marketing. Prior to college, Ms. Boker began her career with Bielat Santore & Company working part time through both high school and college. 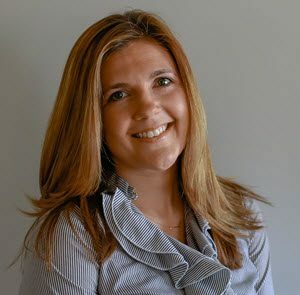 After graduating from college in 2006, Ms. Boker began work at Vertrue, Inc., in Norwalk, Connecticut, as an Assistant Product Manager, where she managed vendor relationships, assisted in the development and implementation of new products and websites. In 2009, she found her way back into the commercial real estate industry, this time as a full time administrative assistant and project coordinator with Bielat Santore & Company. Shortly thereafter she acquired her New Jersey Real Estate License enhancing her working knowledge of the industry. Now with over 17 years of experience with the Bielat Santore & Company, Ms. Boker oversees all aspects of the company’s business. As the Senior Administrative Coordinator, she plays an instrumental role in each real estate and business transaction; including the acquisition of inventory, formulating presentations, supporting the sales staff, processing agreements and liquor license applications and managing closings. Ms. Boker is the main contact person for all administrative and client inquiries.